School Lunch: You Call This Food? Ed Bruske has another great post over at the Slow Cook. He's incensed about the lunch served recently at his daughter's school in D.C. He also found out that his in-depth report on the cafeteria program had repurcussions -- for the personnel, not the food. The principle got reprimanded for letting Ed in for a look. Here's his picture and post. 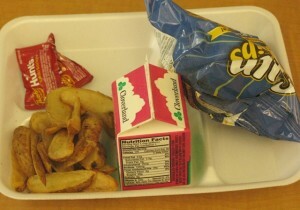 Is anyone home at D.C. Schools Food Services? 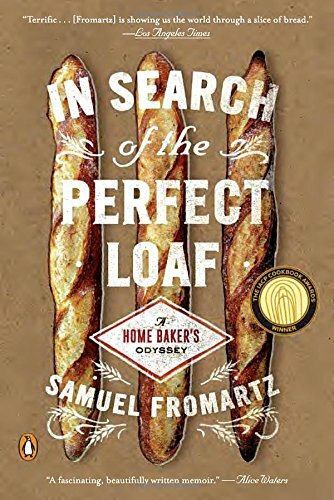 I was ready to have a perfectly civilized discussion–blog-to-blog–with Sam Fromartz over at ChewsWise on the subject of what we can do to get kids to eat better when I was stopped dead in my tracks by the lunch being served at my daughter’s elementary school here in the nation’s capital. Look at the photo above and tell me what you see. Do you see the same thing I do? French fries, a bag of Sun Chips, and an 8-ounce carton of strawberry-flavored milk. Read the rest: You Call This Food? | The Slow Cook. On another topic, thanks for all the great suggestions stemming from the last post about how to feed kids good food. (See the comments section). And if you can't relate because you just don't have kids, read Tom Philpott over at Grist on why you should care about school lunch.